Vitamin B is not just one vitamin, but instead it is a complex of eight different important vitamins. The mix includes vitamins B1, B3, B5, B6, B7, B9 and B12. Each one of the B vitamins has an essential function in the body and is necessary for maintaining overall health. Together, the complex supports the immune and nervous systems, metabolism, skin and muscles. The B vitamins are essential to enzymes that regulate chemical reactions in the body. The B vitamins, working together and independently, provide a number of important health benefits. The vitamins boost metabolism, enhance immune function, support the nervous system, foster cell growth and division and keep skin and muscle tissue healthy. Some experts believe vitamin B from food sources protects against some types of cancer, including pancreatic cancer. To enjoy these health benefits, make sure you eat the FDA-recommended dietary allowance (RDA) for each B vitamin. If you make sure you receive recommended amounts of vitamin B, you may avoid some common and serious health problems. Vitamin B deficiency can lead to problems such as forgetfulness, lack of energy, respiratory infections, anemia, abdominal pain, depression, hair loss and eczema. If you begin noticing any of these health problems, increase your vitamin B intake by eating more foods rich in the B complex. Most people will be able to get enough vitamin B by eating a balanced diet including grains, fruits and vegetables. Since the vitamins pass quickly through the body, you will need to get vitamin B on a daily basis. 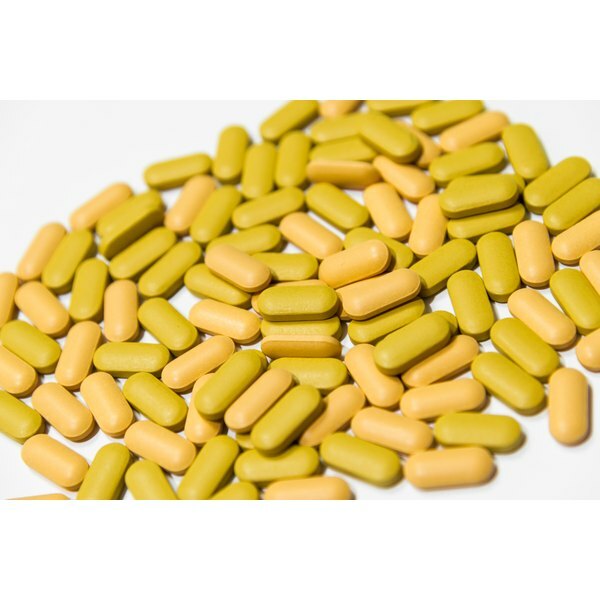 If you are over 50 years of age, pregnant or considering becoming pregnant, you should also take a vitamin supplement with the recommended dietary allowances of the vitamin B complex. Experts report that people over 50 years are particularly at risk for vitamin B deficiency. Vitamin B is also important in pregnancy, since the B complex of vitamins, particularly folic acid, are key for fetal development. You should take a supplement before and after conceiving to prevent possible birth defects. You can consume the recommended levels of vitamin B from both food and vitamin supplements. However, the body more easily absorbs B vitamins from natural food sources. Brewer's yeast, grains, soybeans, lentils, liver, fish, fruits vegetables and seafood are all good sources of vitamin B. If you notice symptoms of the vitamin deficiency, add more of these foods to your daily diet. Why Is a Multivitamin Important When Dieting?